James Mattis stepped down as President Donald Trump's secretary of Defense on Thursday. The president announced on Twitter that the retired general would depart the administration in February. @realDonaldTrump: ....equipment. 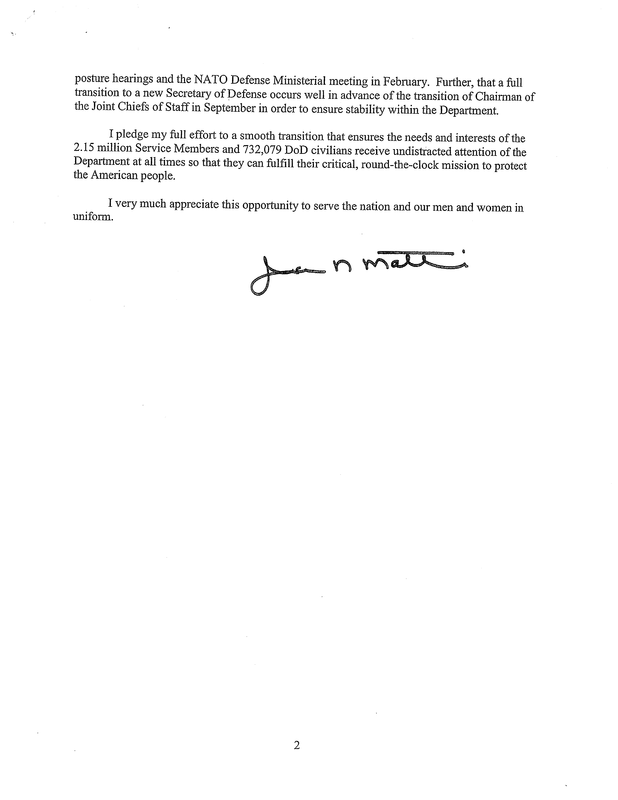 General Mattis was a great help to me in getting allies and other countries to pay their share of military obligations. A new Secretary of Defense will be named shortly. I greatly thank Jim for his service! In a letter addressed to Trump, Mattis said that "because you have a right to have a Secretary of Defense whose views are better aligned with yours" on a number of subjects, "I believe it is right for me to step down from my position." 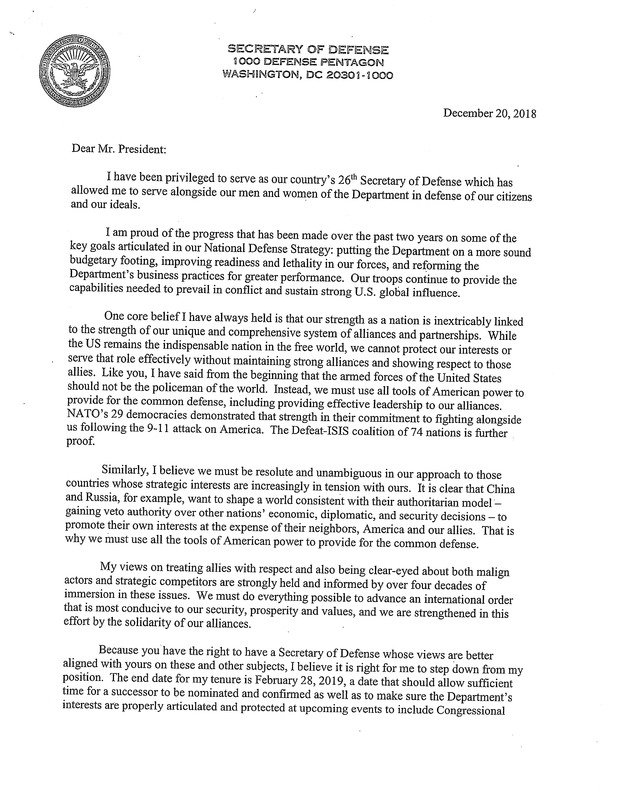 In his letter, Mattis cited the importance of US alliances, particularly NATO, and said the US must stand 'resolute and unambiguous' in the face of authoritarian countries such as China and Russia. Mattis' resignation comes on the heels of Trump's controversial plan to withdraw U.S. troops from Syria. The president's decision, announced on Wednesday, will reportedly take more than 2,000 U.S. servicemembers out of the country, ending the ground strategy against the Islamic State. Trump said in a tweet Wednesday morning that "we have defeated ISIS in Syria, my only reason for being there during the Trump Presidency." Neither the White House nor The Pentagon immediately responded to CNBC's requests for comment on the president's announcement.